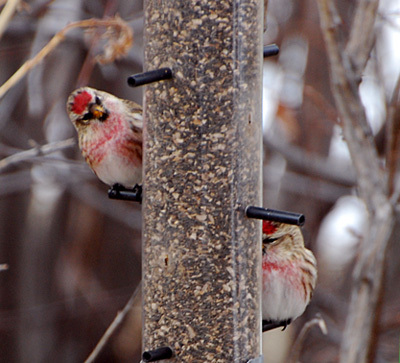 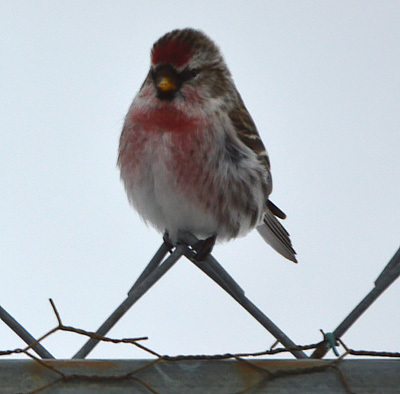 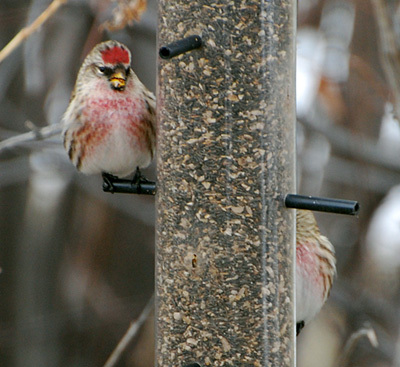 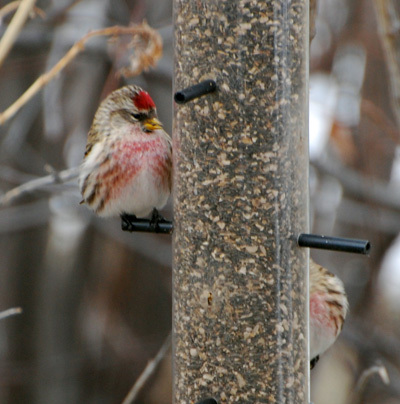 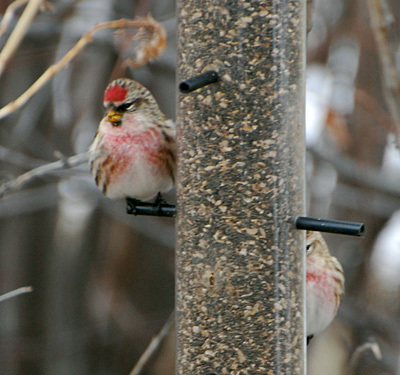 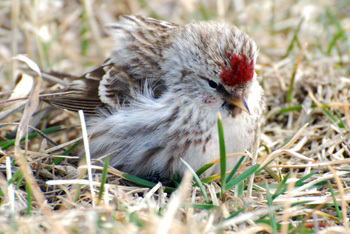 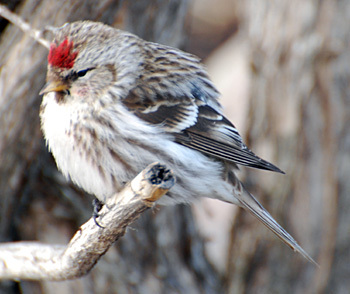 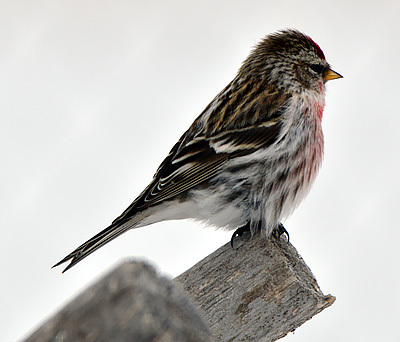 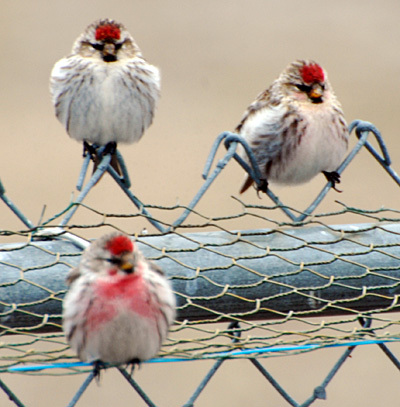 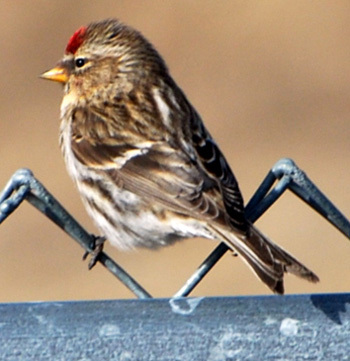 Redpolls are a common sight in spring as they pass through migrating north for the summer. 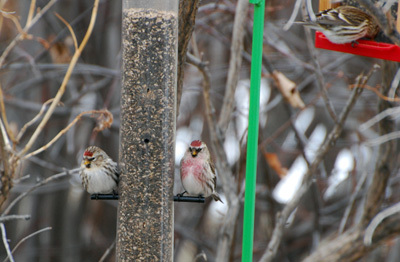 They usually stay around for 2 or 3 weeks feeding on the bird feeders. 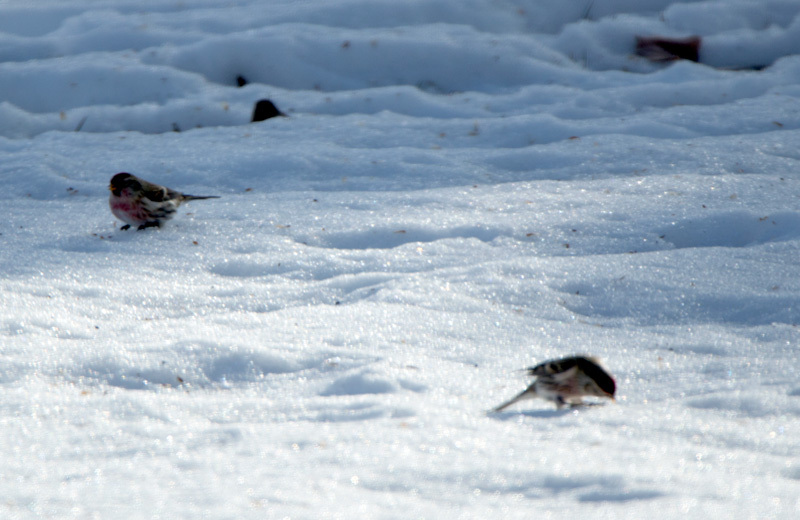 In 2012 they actually stayed all winter. 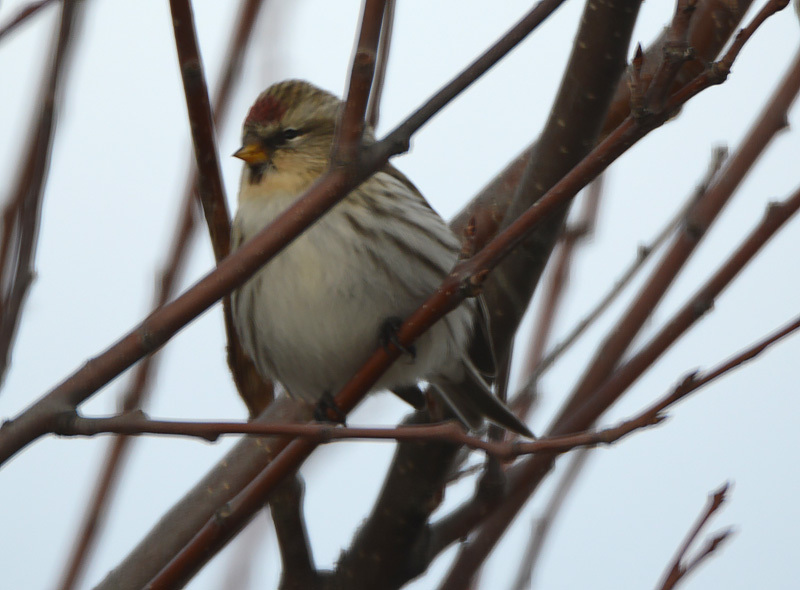 A flock passed through on Nov 22/18 going south.